It’s Valentine’s Day and all over America people are celebrating the act of love. But as much as this holiday is about true romance, it’s also about big business. February 14th has been commercialized. 198 million roses are grown in America yearly and at least 10 million (mostly red) will be sold for Valentine’s Day. it is estimated that 15% of women in the United States send themselves flowers this holiday. 1 billion Valentine’s Cards are given each year. This is the largest seasonal card sending holiday next to Christmas. Over 35 million heart-shaped boxes of chocolate are sold every Valentine’s. 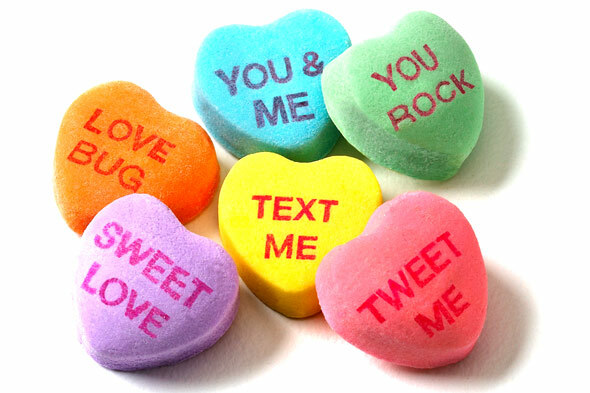 8 billion little candy Sweethearts produced. It’s amazing that this one day results in so much commerce. Valentine’s Day is big business. Consumers will spend an average of $77.43 on Valentine’s Day gifts this year. E-commerce retailers expect to rack up about $650 million in sales of food, candy, flowers, and other Valentine’s Day gifts. Of that amount about $350 million will be for gifts and flowers and another $45 million will be spent on food (including chocolate) and wine. And yet those numbers are just from the countries that officially celebrate this holiday. Only the U.S., Canada, Mexico, France, Australia and the U.K. celebrate Valentine’s Day. Can you imagine how much money is actually spent world-wide? Or even how much business could be gained if this holiday was promoted in other counties? ?